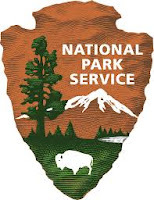 Yosemite National Park fire managers are planning prescribed fire in the Mariposa Grove during the window of 4-14 of November, weather conditions permitting. We expect to have a few days of smoke associated with this burn. The Mariposa Grove project includes two to three burn units that total under 200 acres. Fire managers want to take advantage of the Mariposa Grove closure for a major restoration project to conduct the burn, minimizing impacts to public. Burning in the Mariposa Grove is a continuous process; the targeted areas have had 1-3 prescribed fires in the past 30 years, and continued burning is required to maintain healthy forest conditions. Fire produces the optimum conditions for Giant Sequoia regeneration. Fire not only removes the accumulated layers of dead woody debris exposing nutrient rich mineral soil, but fire is needed to dry the cones and allow the seeds to shed. In addition, by reducing the number of trees and undergrowth, wildfire opens up the forest canopy and reduces shade-tolerant competition. Over 100 years of aggressive fire exclusion throughout the Sierra Nevada Range has dramatically altered forested ecosystems. Historically, natural fires burned an average of 16,000 acres annually in Yosemite and played an integral role in shaping forest structure and creating important wildlife habitat. In the absence of frequent fire, unnatural levels of forest fuel have accumulated, putting many of Yosemite’s natural and cultural values at risk. Applying fire under prescribed conditions mimics the frequent, low intensity lightning caused fires that occurred in the Sierras prior to the exclusion of fire. Fuel reduction projects including thinning and piling in the Mariposa Grove and within the community of Wawona for hazard fuel reduction. * The Soupbowl prescribed burn project has been canceled. Smoke may be present during the prescribed fire and in the Wawona area. Fire managers are working with the Mariposa County Air Pollution District (MCAPCD) to time the project to coincide with favorable weather that will facilitate good air quality, and disperse smoke into the atmosphere away from the community. Prior to ignition, smoke monitoring equipment will be installed in the community and a burn permit will be issued to the park by MCAPCD. Community members who are sensitive to smoke may want to close their windows and doors and/or consider leaving the area during active ignition of the project in order to reduce their exposure.